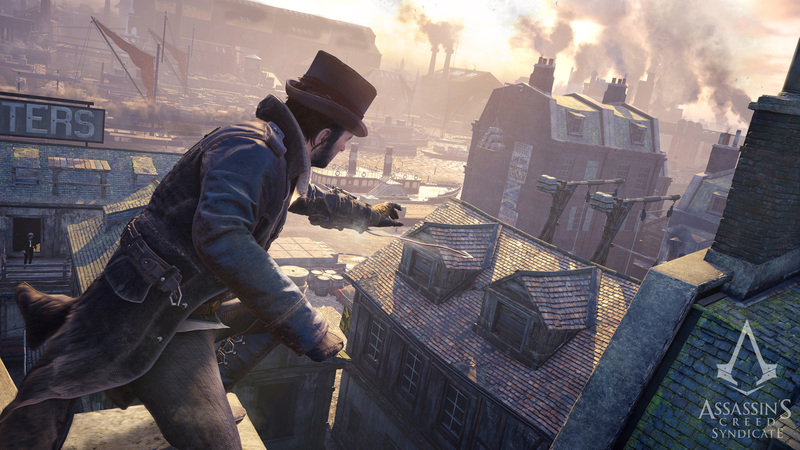 Earn Skill Points and level up fast in this guide to skills and leveling in Assassin's Creed Syndicate. This guide will help you to earn Skill Points and level up quickly in Assassin’s Creed Syndicate. Leveling is an important aspect of the game, as some boroughs feature high level enemies. In the early parts of the story, players tend to have lower levels, making activities in those boroughs extremely difficult. For players who wish to hunt down collectibles, this can be a problem. For more on Assassin’s Creed Syndicate, be sure to visit USgamer’s Assassin’s Creed Syndicate Walkthrough and Guide. Over there you'll find compelte walkthroughs of all the sequences, plus location guides for items. In Assassin’s Creed Syndicate, leveling is tied into your Skill Points, which is to say that you require Skill Points to level up. As an example, all players will start at level 1, and will have to spend four Skill Points to progress to level 2. The max level in the game is 10, and in order to move from level 9 to the max level, players will need to spend 18 skill points. As you can see, leveling is not something that happens quickly. Look at the chart below to see the full requirements to meet each level. We now know that earning Skill Points is the key to leveling up, so how is that accomplished, and how can we expedite the process? To break it down in the simplest form, earning 1,000 XP will give you one Skill Point, so progressing from level 9 to level 10 would require 18,000 XP. Players can track their progress to their next awarded Skill Point by looking in the bottom left of the Heads Up Display (HUD). It’s there that they’ll see their health represented by a white bar on the left, and their progress to their next Skill Point by a blue bar on the right. The best part about this is that Evie and Jacob share XP and Skill Points. If you earn a Skill Point with Evie, Jacob will have that very same point awarded to him even if he didn’t participate in the activities that Evie completed to earn it. This is important to reducing the grind, since both Evie and Jacob have completely separate Skill Trees. Unfortunately, there is no fast way to earn XP and increase your level by spending Skill Points. The system is designed to make you work for it, but you can turn it on its head just a little. By that we mean that you can focus on the random activities around London, such as Templar Hunts, Bounty Hunts, Child Liberation, Gang Stronghold and Gang War events. By doing this, you will increase your level, giving you the edge when you hop into a level 5 assassination mission as a level 7 player. You can speed the process up just a little by being thorough with your memories and activities. For example, you get a base XP reward for completing an activity, but if you complete the challenges with that activity you’ll earn even more. Imagine you are on a Templar Hunt and will earn 350 XP for killing him. Well, that could be done easily enough from a distance using a Throwing Knife. However, if the challenge is to kill him with an Air Assassination, you might be in for some additional XP. Complete the task using the method the game tells you, and you’re likely to see your level increase faster than your average player. If you’re just not satisfied with our answer, there is still one more thing you can do, and that is visit in the in-game E-Store and purchase XP Boosts. These come in the form of two and 12 hours boosts, allowing players to earn more XP, which gives them more Skill Points, which allows them to level up faster. We wish we had a better answer for you, but that’s the best way (so far) that you can rush the system.